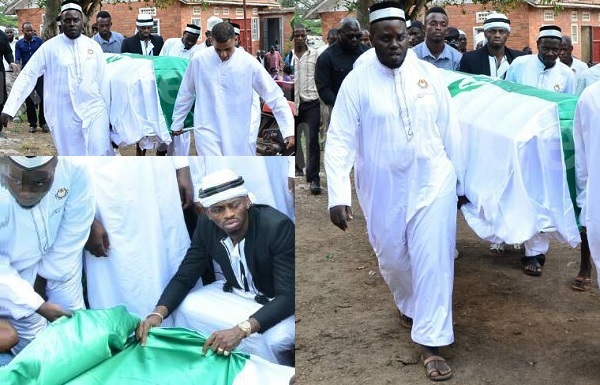 Zari's mom, Halima Sultan Hassan, was buried on Friday at her parent's home in Busunju and the Bongo flava star, Diamond Platnumz, was among the pallbearers. 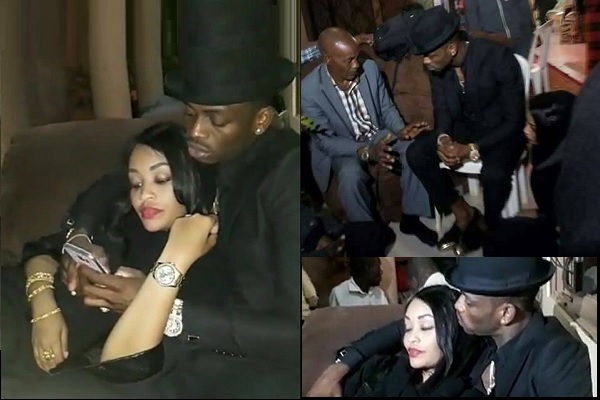 Ladies are not allowed at the grave, so Platnumz was at hand to keep tabs with the final journey of his mother-in-law. At the burial, it was noted that her condition deteriorated after Ivan Semwanga's death, she broke down several times before Ivan's body eventually returned to Uganda. Ivan died at 39 and less than two months later, Zari's mom is gone aged 58. Zari's mother has been having these ailments, but never broke down as Ivan was always there to take care of her as and when she broke down. They also thanked all those who had contributed towards her medical expenses that amounted to Shs 50million in just the two weeks they were in hospital. Whoever spoke was showering the late Ivan Semwanga with praises and still remained grateful for all the good things he had done for the family. Not much was said about Diamond Platnumz who was surrounded with muscle men clad in black t-shirts to ensure that the 'Marry You' singer was safe. This was earlier on at the vigil in Munyonyo. "Mitihani ni sehem ya Maisha na Huletwa na Mwenyez Mungu , na Siku zote huletwa kwa sababu, na ndiomaana tumefunzwa kushukuru kwa kila jambo..... Allah nakushkuru kwa yote, Nakushkuru kwa kunifikisha Uganda na Kumaliza kila jambo salama....Naomba pia Uniongoze katika safari yangu hii ya sasa ya Kuelekea Dar es Salaam....na unitie nguvu siku ya kesho nikiwa kazini pale Leader Club"
This is what we managed to retrieve from the translator, however, corrections are welcome. "The tests are a sign of life and are brought by God, and are always brought in because, we have been taught to be thankful for everything .... Allah is grateful for all, I am grateful for having been to Uganda and I'm glad it was all safe .... I pray for journey mercies on my current trip to Dar-es-Salaam .... and strengthen me in my work at the Leader Club." 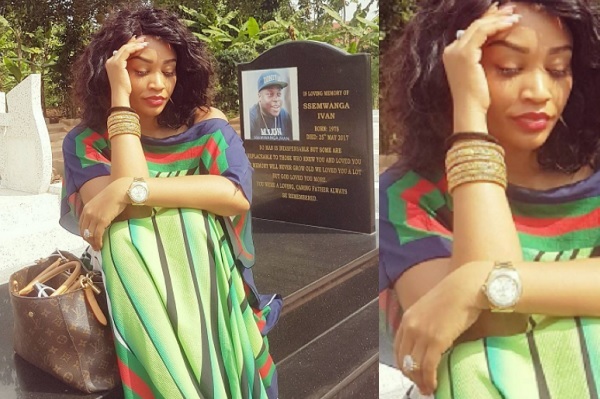 Hours before her mom passed on, she was visiting the grave of Ivan Semwanga.